Optimum Nutrition has been ruling the muscle building world for some time now. Its powders and mass gainers are giving other top brands a run for its money through a variety of formulation. As one of the most recognizable brands in the weight gaining industry, ON has more than 30 days of experience on its sleeves. Their initial offers are topnotch products supporting athletes’ health. So far, this brand is a gold standard when it comes to mass gain supplements. On this post, we will create an Optimum Nutrition Serious Mass review to know if this product is the one for you. 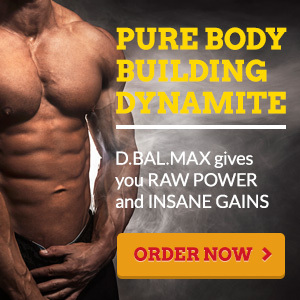 Their Serious Mass supplement sells like hotcakes to both professional bodybuilders and newbie body sculptors. Unlike the usual protein and weight gain powders you usually see in the market, this one has a fairly potent formula. Just imagine ingesting 1,250 calories and 50 grams of protein for every two scoops. That’s one hefty supplement that although massive in the muscle gain department, can also be a bit daunting if not taken properly. This looks promising especially for skinny people who are yet to pack up on the calorie department. The 50 grams of protein seems to be heavenly since it will likely speed up the production of muscles during the day. However, this is a lot. You can read another Optimum Nutrition Serious Mass review but they will say the same thing. Such calorie consistency is quite high for a supplement, thus there’s a risk of unwanted weight gain. Although it might answer the problem of being underweight, you also have to factor in what protein is present here. So far, this supplement is a massive combination of muscle building proteins like creatine, whey, and glutamine together with Inositol, calcium, and 25 vitamins and minerals. It’s always great to have this formula instead of sticking to the usual whey or a pair with another. This Optimum Nutrition supplement tries and succeeds in keeping a balanced supply of nourishment for the body. Aside from the protein and calories, the Serious Mass also contains 250 grams of carbs per serving. This is in the form of maltodextrin which is a plant-based starch that also serves as a thickener or filler for some food products. It’s important to note that this starch is highly processed, but a plant-based source nonetheless. To be honest, I’m quite impressed with the nutrient profile of this supplement. It doesn’t overkill the protein aspect since it also augments the deficiency in other vitamins and minerals. Clean calories. Those who are having a hard time packing on calories through solid food can spare some bagels with a serving of the Serious Mass supplement. And it’s not just calories, it’s calories that work toward muscle gain. One of the most important points on this Optimum Nutrition Serious Mass review. Supercharged protein serving. I’ve seen tons of protein powders before and I’m lucky to even be treated to a maximum of 30 grams per serving. This supplement from ON has protein consistency in a whole new level: 50 grams per two-scoop serving. Excellent muscle health. Since you’re getting a lot of protein and a dose of other nutrients, you can expect better muscle health if paired with the right workout. This makes the result noticeable in just a couple of months. Creatine supply. One of the major marketing claims of Serious Mass is it gives you a dose of creatine. However, it’s only in a very small amount of 1 gram per serving. Anyway, you no longer have to buy another supplement just to get creatine. Fast weight gain. Those who need to have a little flab on their bodies will love this supplement. Imagine, 1,250 calories in one serving. Fat in check. The big risk about this supplement is gaining unnecessary fats. But I think the amino acids present in the formulation will help in the fat-burning process with, of course, regular workout. That’s what you should know on this Optimum Nutrition Serious Mass review. The Optimum Nutrition Serious Mass supplement comes in five flavors: banana, vanilla, chocolate, strawberry, and choco peanut butter. All of these tastes well depending on your option, but a lot of takers of this supplement caution about the banana flavor. It’s not the best blend you can get from this supplement. For the chocolate variations, the taste is of heavy milk and choco. It’s good for those with insatiable sweet teeth. However, it can get tiring over time due to the very dessert-like taste. These taste options make it a good addition to workout shakes and other meals. But if you want a non-flavored supplement, you’ll have to look somewhere else. Due to the presence of maltodextrin starch, the consistency of this supplement is too thick. It’s quite hard to dissolve manually unless you use a blender. Solubility is also an issue since it has a high tendency of clumping if you don’t blend it well. Nevertheless, it’s not something that can defeat the excellent formulation this supplement has. One trick here is to blend milk first until it froths. Dump the serving of the supplement so it will blend nicely into the cloud-like mixture and avoid clumping. It won’t stick to the sides this way; however, the blender will be a pain to clean afterward. It’s something each Optimum Nutrition Serious Mass review points out. It’s impossible to create a protein shake with the Serious Mass without using a blender. Unless you have an exemplary whisking ability, the powder will clump and leave you with undissolved chunks. So using a blender, pour milk, blend it, and then add the scoops of this supplement. Let it mix well before taking, probably up to a minute of blending. Avoid using water if you want to take as much protein and calories possible. Milk also makes the shake taste better. If you want a smoothie type of drink, you can add a banana for flavor and texture. You can also use two tablespoons of smooth peanut butter for a massive calorie boost. The oils present in the peanut butter will remove bubbles on the smoothie so you won’t sip air. It’s true that the serving per day for this supplement is two scoops. But don’t take it at once. The high-calorie content will force you to skip solid meals which isn’t good. Make sure to transfer your shake in multiple containers so you can keep an eye on the serving. Another thing is that taking high amounts of protein in one sitting is a guaranteed way to piss your stomach. It’s also best to take only half of the said serving during the first week if you’re a new user. This will allow your system to adjust to the new nutrition while you add more amount in the succeeding weeks. The supplement is best taken in between meals, before bed, and as a post-workout recovery drink. As far as each user Optimum Nutrition Serious Mass review is concerned, the Optimum Nutrition Serious Mass is a winner. It works as promised and it helps in bulking for just a few months. Since ON owns the dairy farms where some of the ingredients are harvested, it says much about their pledge to quality. Many users agree that this supplement is no BS – just a straightforward formulation of essential ingredients in gaining mass. This supplement is indeed “Serious”, a name users find fitting for the product since it gives a hefty formula that only those who are serious in bulking up will take. Takers who have problems ingesting calories from solid foods love the idea of this Serious Mass supplement. But like what’s said before, you shouldn’t take this in one go. A user even vomited and passed out when he tried to down the whole serving in one sitting. If the serving is taken at 2-3 hour intervals, it will allow you to eat meals and improve your endurance at the gym. Although a lot of people are praising this supplement, there are also some users who aren’t happy about it. One of the common complaints is the hefty serving that can be as much as one pound. Some can’t even fit it on their blenders. And depending on your body’s reaction, some users still found it hard to gain weight through it. Don’t let the word “danger” fool you. All supplements, may it be for muscles gain or weight loss, will always have a share of risks. This supplement, for one, has some ugly sides to it too on this Optimum Nutrition Serious Mass review. The predominant side effect is the risk of kidney disease. A lot of weight gain powders are associated with it and is the number one reason why it shouldn’t be taken as a sole source of nutrition. If you lack in proper hydration, the powder can contribute to the buildup of kidney stones. It can also wreak havoc on your hormones. It can also cause liver issues in the long run if taken improperly. The liver plays an important role in the production of protein, and if the production becomes too much, the process is taxing to the organ. High protein content is good, but if you’re not careful, it will lead to digestive problems on which diarrhea is the most common. Those with intolerances experience excessive bloating which makes it appear that the weight is concentrated on their tummy. Not to mention the bad case of flatulence, this supplement can be quite a challenge to take for those with sensitive stomachs. When taking the Serious Mass supplement, make sure that you have an established workout routine. The calorie content will cause the mass gain, but not necessarily muscles. You have to ensure that your physical activities are compensating for the number of calories you’re taking. That way, you build muscles. Just one tip on this Optimum Nutrition Serious Mass review. Though an indirect danger, the potent formula of this supplement may develop a wrong thinking that a person can overexert his body in the gym. -It has flavors that are excellent of shakes and smoothies and you can also add fruits to enhance the taste. -The price is reasonable for its formulation and 12-pound bags. -It’s packed with other vitamins and minerals necessary for overall health. -It can be both a pro and newbie powder by tweaking the serving. -It’s not like other protein powders that only have one or two protein blends. -Prepare for a toot session. The milk and other content of the supplement can build up so much gas that you’ll end up farting more than usual. An Optimum Nutrition Serious Mass review I saw pointed this out. -Too many calories can cause fat gain instead of muscle gain. This can be fixed through proper workout routines and serving size. -It doesn’t always taste good. Some users may grow tired of it over time due to the thick and a bit overpowering flavors. -It has a very thick texture and dissolving the powder can be a pain. You always have to use an electric blender to get the job done. With an outstanding formula, there’s nothing else a muscle gainer would wish for this Serious Mass supplement. I know that the calorie content is quite overwhelming but it has its purpose. It’s excellent for bulking up and gaining a layer of fats before finally hitting the gym with advanced routines. As long as you keep an eye on it, there wouldn’t be any problem. The Optimum Nutrition’s Serious Mass supplement is one of the best supplements I’ve seen so far. It’s a giant in both the protein content and supporting nutrients that your body needs. But as much as this is a well-rounded supplement, don’t trade solid meals for it. In this Optimum Nutrition Serious Mass review, I recognize the fact that supplements like this tend to veer mass gainers in the wrong direction. They rely on it too much or overdo the workout. Just remember that this is just an augmentation for the nourishment your body needs. It might be a top-shelf product, but you have to do your part of making it work for your guns.